What is our proposed walking experience in the Flinders Chase National Park? 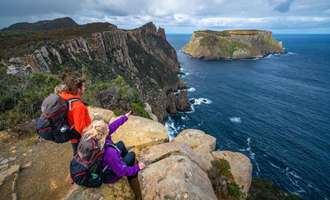 We are setting out to deliver a unique 4-day journey for 14 walkers that takes them out of everyday life and into the Kangaroo Island wilderness. The 57km walk offers a fully guided experience of the Flinders Chase National Park, complete with meals prepared by guide-come-cooks. Our guides are passionate educators who enhance the experience by sharing their knowledge of the area’s flora, fauna, geology and history providing a personal introduction to nature for walkers of varying levels of fitness and confidence. We provide the opportunity for people who will not or cannot venture into the wilderness without any support and basic hygiene or comforts. 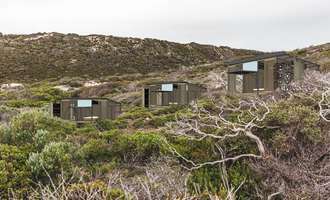 Australian Walking Company has engaged nationally acclaimed Adelaide-based architects, Troppo, Australia’s only Global Sustainable Architecture laureates. Troppo are leaders in furthering socially and environmentally responsible architectural practice in Australia. As might be expected, ecological maintenance has been at the core of all site development decision-making for this project. 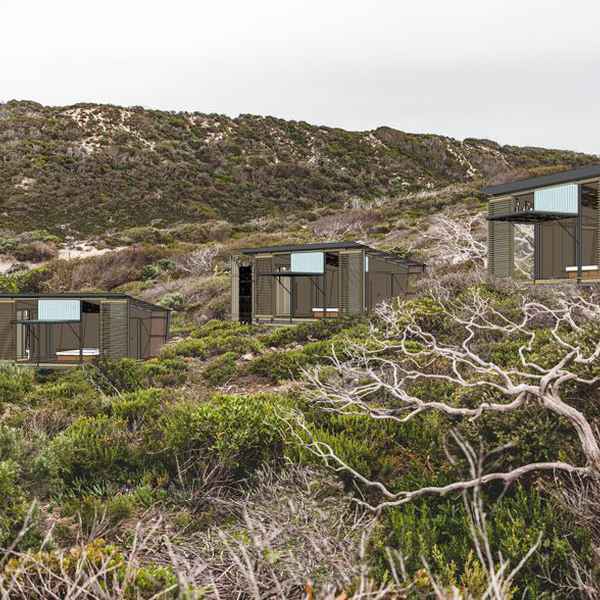 To shelter walkers during their overnight stay individual 2-person sleeping pods have been sensitively designed to open to the environment while nestling seamlessly within the site’s topography and landscape. The minimalist earth-toned fit out with screened outdoor bathing area is a small intimate stand-alone pod with a path connecting to a communal dining space designed to seat 14 guests and 2 guides. Focussing on ecological preservation, structures are prefabricated to minimise construction time and impact. They are lightweight and concrete-free with suspended flooring to ensure minimal ground impact. Earthen paths connect structures to servicing areas and follow the existing gentle topographical folds with light all-terrain vehicles used to minimise the track width. A centralised water storage and reticulation system will harvest rainwater from the communal area’s roof and solar power arrays are used to power the sites, using a fraction of the energy of a typical domestic home. A closed worm farm waste treatment system is proposed utilising natural site falls. 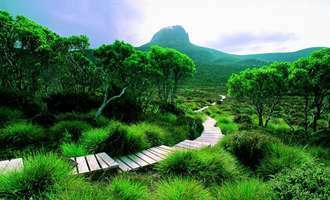 Australian Walking Company will engage local expertise and resources for site development, revegetation and environmental offsets, and source local building products where appropriate. No road vehicles will access the camps. Rather, access is by narrow wheelbase vehicles using mulched tracks to avoid importing material. These tracks will follow contours, generally as mapped out by wallaby trails. Walking trail connections will adopt the same low-impact path-making as for the existing walk. 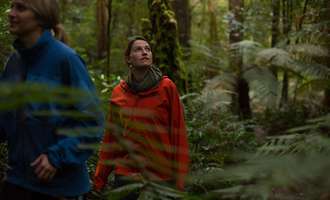 Australian Walking Company will also engage local expertise and resources for site development, including vegetation maintenance, as well as the production of guidebooks and information for guests. Local craftspeople and artists will be engaged to work alongside Troppo in the project fit-out. The walking experience has been designed to utilise only two of the four nodes offered in the Park Management Plan minimising the environmental impact with the overall footprint of the proposed accommodation significantly less than the existing campsites. 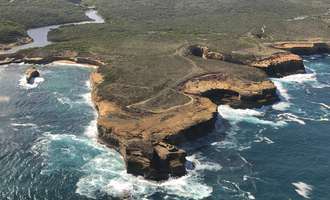 Walkers will spend an additional night at historic lighthouse keeper’s cottages at Cape du Couedic. The cottages will be upgraded and available for independent use with a plan to increase the existing low rates of booking made directly by the public. 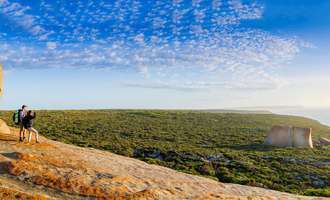 Australian Walking Company’s proposed Kangaroo Island Wilderness Trail experience will depart from and return to Kingscote, allowing for arrival by air or ferry, and encourage guests to take in the many other wonders of Kangaroo Island during their visit. 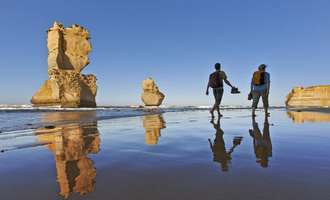 Australian Walking Company will hold an information session on Thursday, 21st February 2019. The public are invited to share their views prior to the submission of the Native Vegetation Application and hear more about the walk experience. The session will be held from 3.30pm to 5.30pm at the KI Yacht Club. 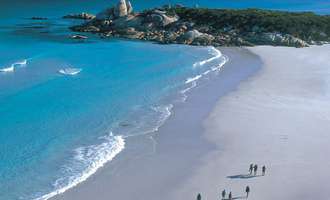 Alternatively, for further information please email kirsty@australianwalkingcompany.com.au. Australian Walking Company was formed in 2015 but our origins extend well beyond that. We have partnered with industry leader Tasmanian Walking Company to showcase and raise awareness of Australia’s natural landscape on foot. TWC has over 30 years of proven experience in delivering award‐winning guided walks within World Heritage Areas and National Parks and is a recognised leader in environmental travel practices. 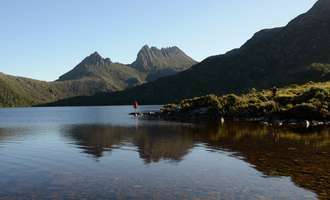 Our first walking experience was the establishment of an "accommodation based” guided walk along the Overland Track in the Cradle Mountain - Lake St Clair National Park following a tender process with the Tasmanian Government. Our huts are subject to stringent environmental guidelines and form the basis of the six-day walk which has now been operating successfully since 1987. 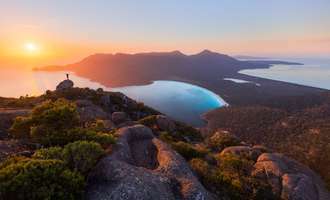 Australian Walking Company is passionate about conserving and celebrating the iconic Australian wilderness environments that we are privileged to operate in. We invest considerable resources into ensuring our operations are sustainable and environmentally responsible guided walking experiences. Our guests typically arrive for an adventure but leave us as advocates for the special places in which we operate. Want to know more about our amazing experiences?